Sunny weather and golden beaches await you on a vacation in Durban, a busy port city on the Indian Ocean known for its outdoorsy atmosphere. To find where to stay, more things to do, reviews, and tourist information, read Durban trip planner. London, UK to Durban is an approximately 16.5-hour flight. You can also do a combination of flight and bus. The time zone difference moving from Greenwich Mean Time (GMT) to South Africa Standard Time (SAST) is 2 hours. Traveling from London in March, things will get warmer in Durban: highs are around 35°C and lows about 25°C. Finish your sightseeing early on the 9th (Fri) so you can travel to Cape Agulhas. 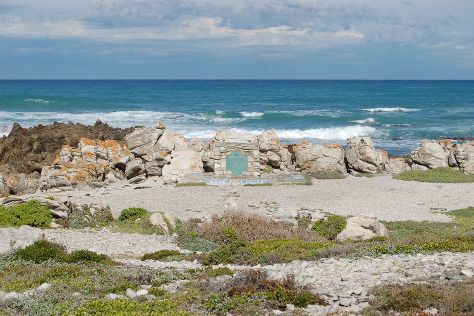 Start off your visit on the 10th (Sat): visit a coastal fixture at Cape Agulhas Lighthouse, then tour the pleasant surroundings at Agulhas National Park, and then get great views at Cape Agulhas - Southernmost Tip of Africa. 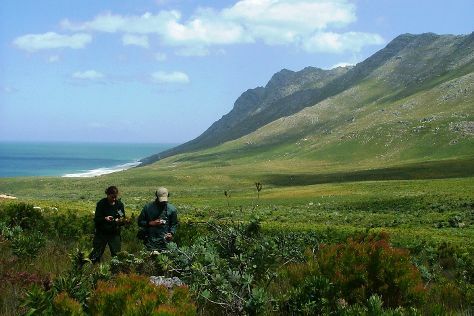 For more things to do, maps, reviews, and more tourist information, refer to the Cape Agulhas trip planner . Use the Route module to find suitable travel options from Durban to Cape Agulhas. Traveling from Durban in March, expect Cape Agulhas to be slightly colder, temps between 28°C and 17°C. Finish your sightseeing early on the 10th (Sat) to allow enough time to travel to Hermanus. On the 11th (Sun), stroll through Voelklip Beach and then admire the majestic nature at Kogelberg Nature Reserve. To see other places to visit, ratings, and more tourist information, read Hermanus trip planner . You can drive from Cape Agulhas to Hermanus in 2 hours. In March, daily temperatures in Hermanus can reach 30°C, while at night they dip to 18°C. Wrap up your sightseeing on the 11th (Sun) to allow time to drive to Cape Town. Get outdoors at Boschendal Wine Estate and Clifton Beaches. Get some cultural insight at Table Mountain National Park and Robben Island. There's lots more to do: kick back and relax at Boulders Beach, take some stellar pictures from Cape of Good Hope, take in the dramatic natural features at Twelve Apostles, and examine the collection at South African Jewish Museum. For maps, photos, traveler tips, and tourist information, you can read our Cape Town trip planner . Traveling by car from Hermanus to Cape Town takes 1.5 hours. Alternatively, you can do a combination of taxi and train; or do a combination of taxi and bus. March in Cape Town sees daily highs of 30°C and lows of 18°C at night. Wrap up your sightseeing on the 14th (Wed) early enough to travel back home.